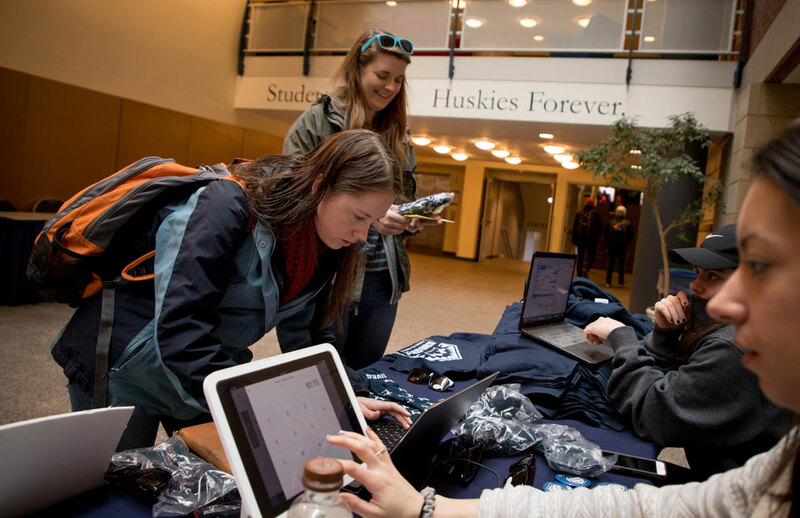 Thank You: We Raised a Quarter of a Million in 36 Hours! 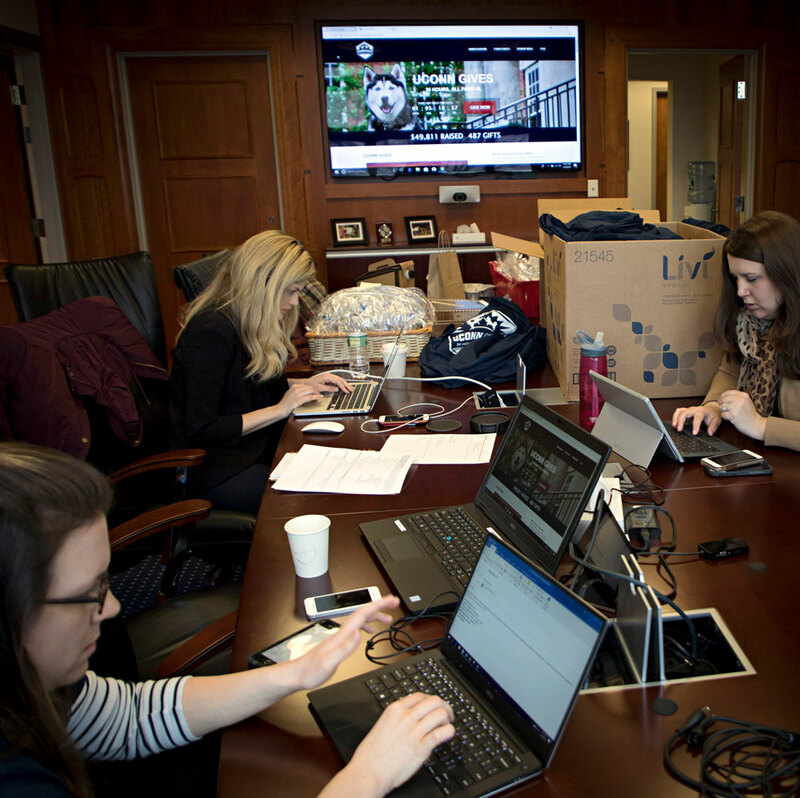 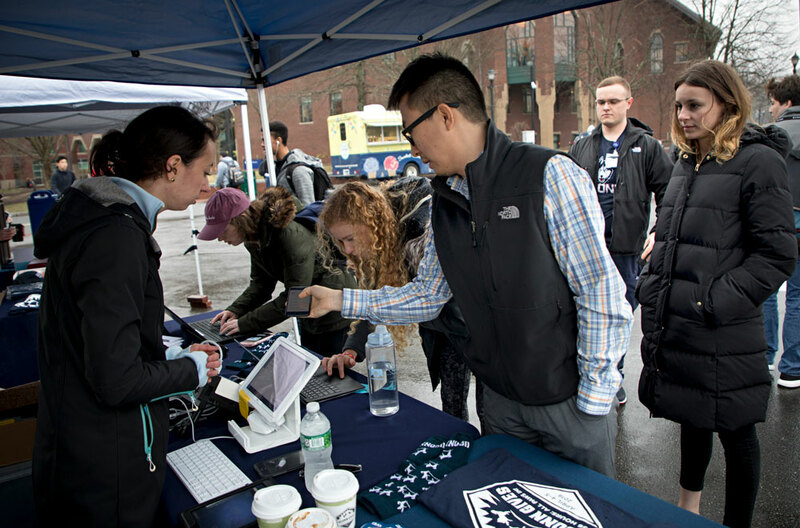 At the stroke of noon on April 5, Anthony LaRosa’08 (CLAS), Jennifer Doak-Mathewson’06 (CLAS), Hannah Davis, and Amanda Bradley ’15 MA celebrated the official end of UConn’s first-ever Giving Day. 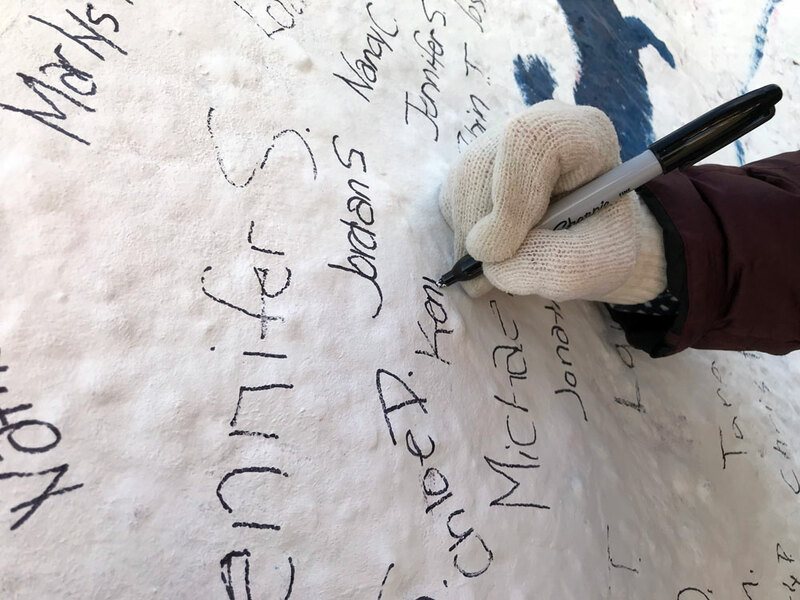 The four had just written the names of the final donors on the painted rock. 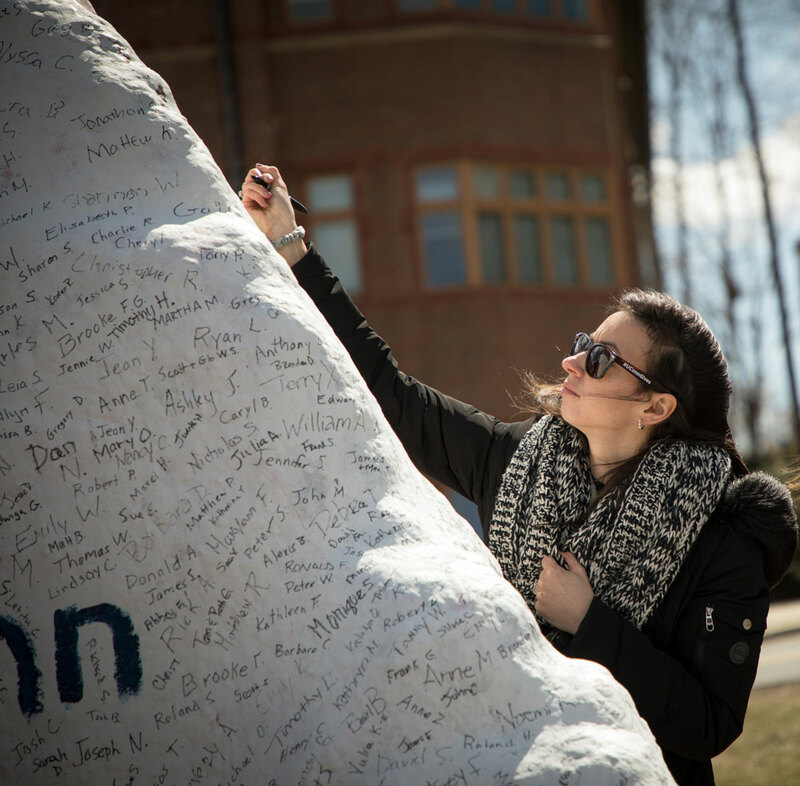 Starting at 8 a.m. that day, Foundation volunteers from across campus had been outside writing the names of each of the nearly 2,500 alumni, students, parents, faculty, staff, and friends who donated money during the 36-hour event. 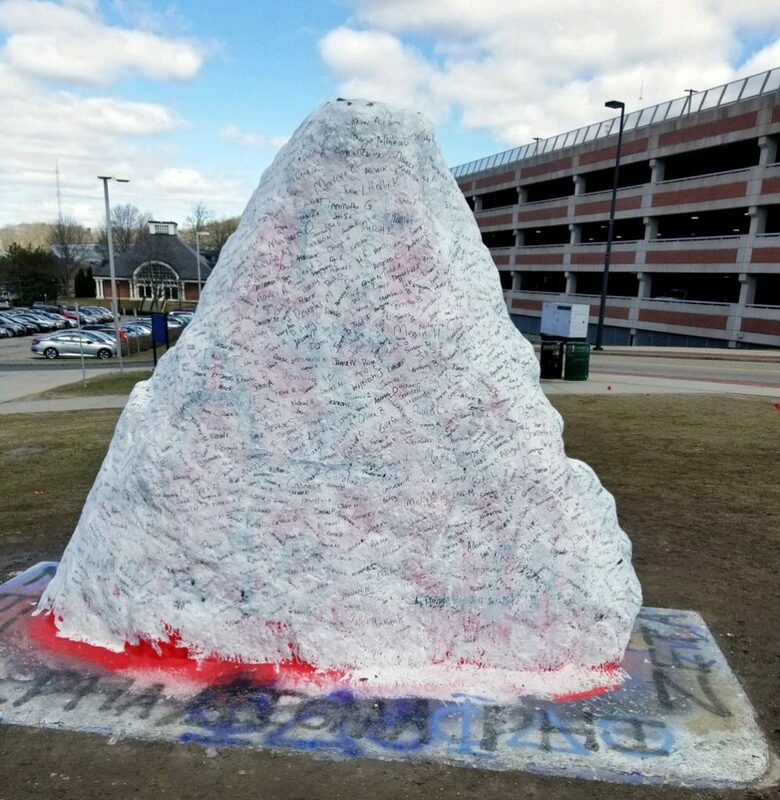 In total, members of UConn Nation raised $260,582. 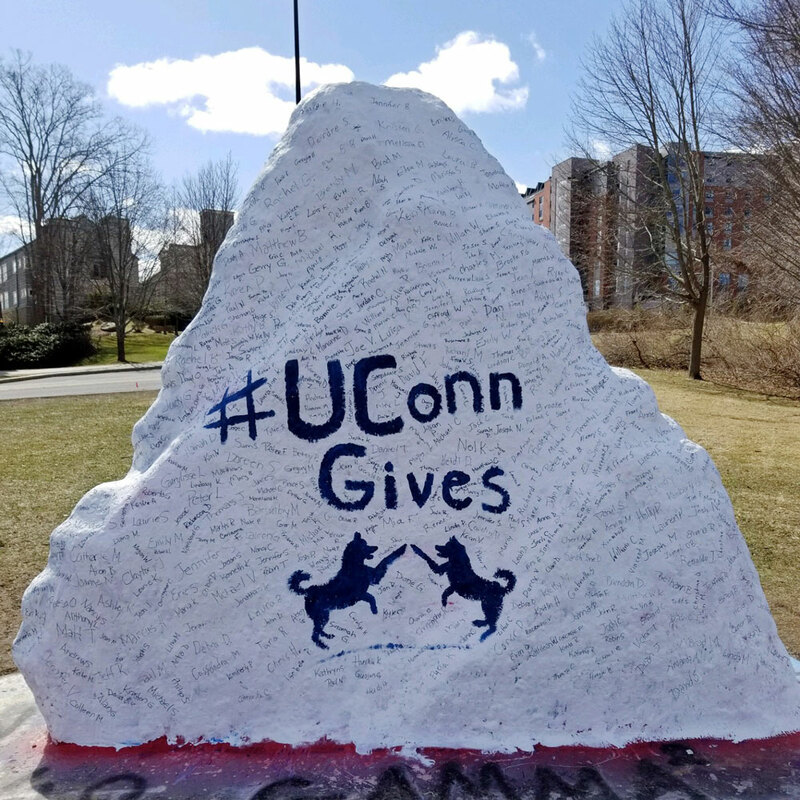 Contributions came in from around the globe, with folks in the state of Connecticut alone chalking up 1,744 donations in celebration of Husky pride. 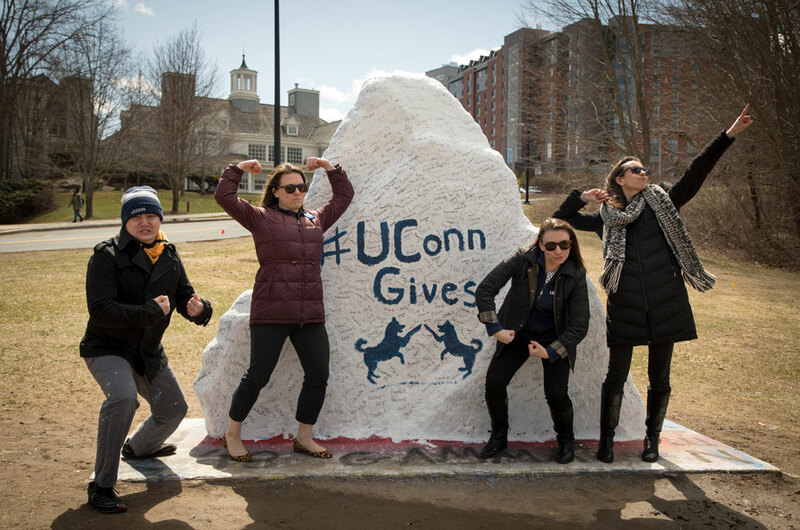 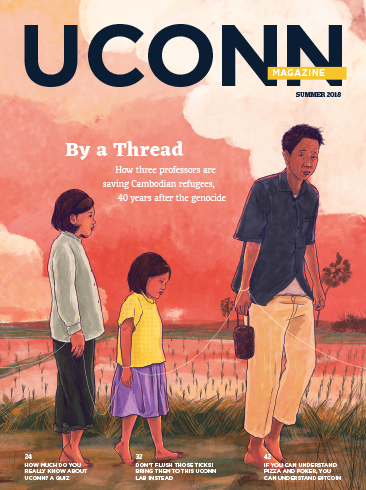 UConn Foundation thanks you for your generosity in 2016.